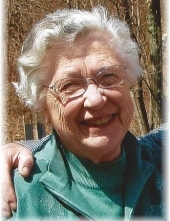 Esther H. Agnew, 88, of Pemberville, Ohio and formerly of Erie, Pennsylvania passed away Friday March 29, 2019. She was born January 20, 1931 in Union City, Pennsylvania to Levi and Eva (Dilley) Hall. She married Robert Agnew May 24, 1952 and he survives in Pemberville. Esther was a graduate of Union City High School. She went on to attend Indiana University of Pennsylvania and Edinboro University of Pennsylvania where she received her Master’s in Education. She taught 34 years, majority of that time teaching at Irving Elementary in Erie, Pennsylvania. She was a member of the Bowling Green Alliance Church, Alpha Sigma Alpha and Kappa Delta Pi. She lived at Otterbein Portage Valley, Pemberville, OH. She enjoyed taking trips to the beach, reading and loved doing puzzles. Esther was a member of the “Happy Hookers” at Otterbein in Pemberville. Her greatest joy in life came from the time spent with her children, grandchildren and especially her great-grandchildren. Along with her husband of nearly 67 years, Robert, Esther is survived by her children Kay (Samuel) Bonsall of Bowling Green, Ohio, Charles (Anne) Agnew of Mechanicsburg, Pennsylvania and John (Cynthia) Agnew of Fort Mill, South Carolina and, sister Irma Yeager of Coraopolis, Pennsylvania, sister-in-law Ruth Rowley of Sewickley, Pennsylvania, 9 grandchildren, 9 great-grandchildren with 2 on-the-way and several nieces and nephews. Visitation will be held on Sunday March 31, 2019 from 4:00 to 7:00 p.m. at the Bowling Green Christian Missionary Alliance Church, 1161 Napoleon Rd. Bowling Green, Ohio 43402. Her funeral service will be held Monday April 1, 2019 at 11:00 a.m. at the church. Additional visitation will be held Monday morning at the church from 10:00 a.m. until the time of the service at 11:00 a.m. Arrangements have been entrusted to Dunn Funeral Home in Bowling Green. visitation will be held on Tuesday April 2, 2019 from 4:00 to 7:00 p.m. at Dusckas-Martin Funeral Home, 4216 Sterrettania Rd. Erie, Pennsylvania 16506. A private graveside service will be held Wednesday April 3, 2019 at Evergreen Cemetery in Union City, Pennsylvania. Memorial contributions may be given in her memory to the Bowling Green Alliance Church Building Fund or The Church of the Cross in Erie, Pennsylvania. To send flowers or a remembrance gift to the family of Esther H. Agnew, please visit our Tribute Store. "Email Address" would like to share the life celebration of Esther H. Agnew. Click on the "link" to go to share a favorite memory or leave a condolence message for the family.